Window wells are typically overlooked in their importance and are subsequently poorly installed. A poorly installed window well can actually direct water to your window and into your basement. Securely anchored to the wall to resist frost pressure. Strong enough not to bow with the soil pressure. Sealed to the wall to prevent surface water from running in. 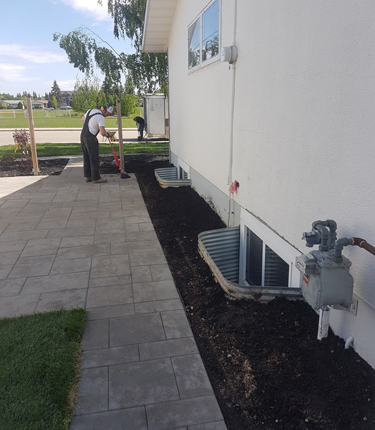 Provided with a drain line down to the weeping tile drainage system. Filled with at least 6 to 8 inches of drainage rock below the window height to eliminate any chance of pooling water coming in the window. Provided with positive drainage away from the window well. We can install factory galvanized metal window wells or construct wood timber ones. We have tried installing fiber-glass window wells in the past but the frost just broke them off the wall within a few years. They are not designed for our harsh climate. Window wells must be maintained to function properly. Snow must be removed in the winter and leaves and debris the rest of the year, to prevent the drainage rock and drainage line from getting blocked. 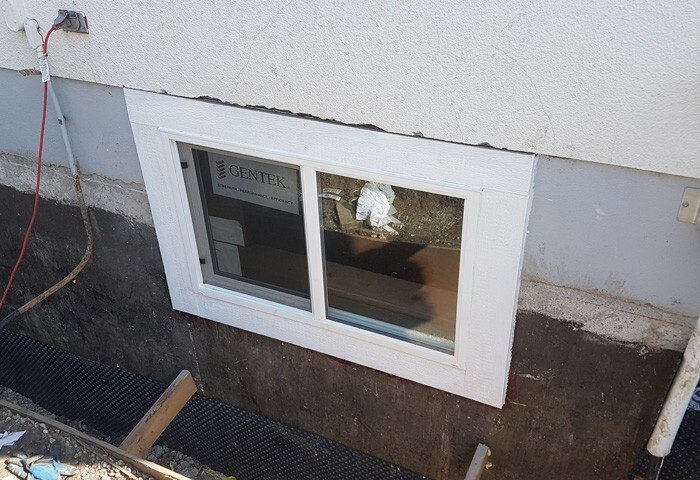 We can cut and break window openings and install egress rated windows with window wells to all types of foundations. Larger windows can make basement bedrooms safer, allow you to install a secondary suite or just brighten up the space and improve ventilation.